This special Champagne comes in a magnum-sized bottle, to make your parties and dinners pop! Also makes a very special gift. 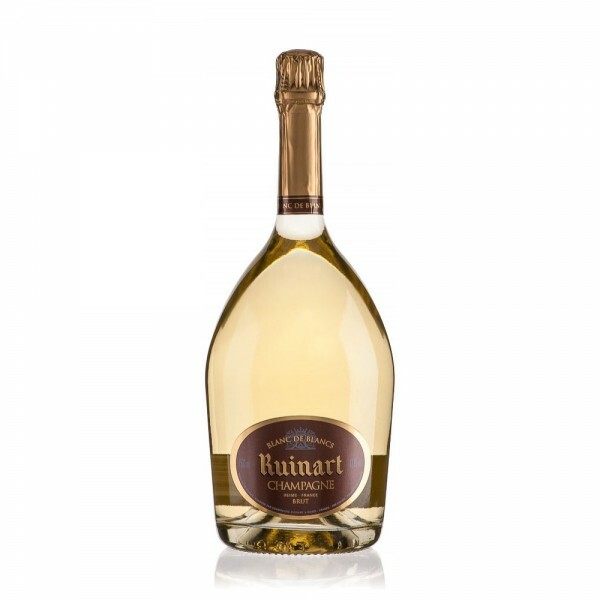 The Chardonnay grape has always been at the heart of Ruinart Champagne, but this very special Blanc de Blancs is 100% pure Chardonnay, mainly from the top Premier Cru vineyards. This Champagne is a total delight paired with delicate white fish like sea bass, sole or raw bream dishes. Also outstanding with scallop carpaccio. DID YOU KNOW...? Blanc de Blancs means 'white of whites', as these Champagnes are made exclusively from white grapes. Most White Champagnes contain red grapes as well, particularly Pinot Noir.